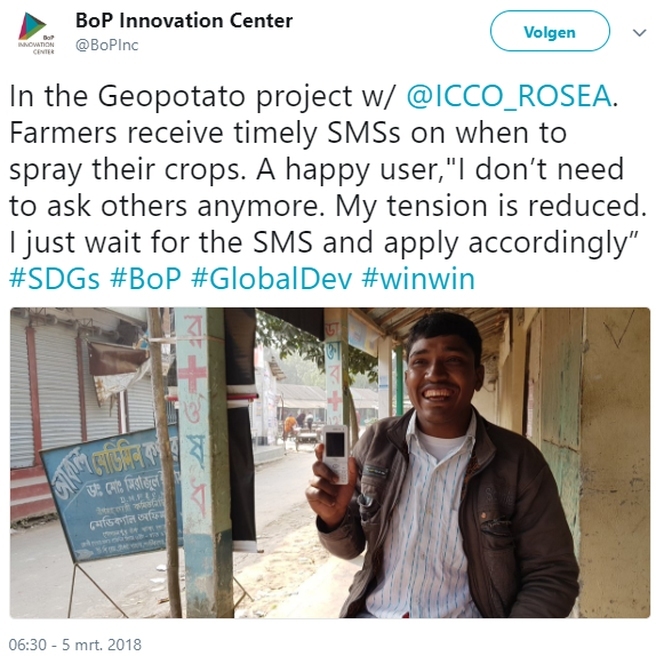 ICCO Cooperation - 7000 farmers subscribed for SMS service GEOPOTATO https://www.icco-cooperation.org/en/newsarticle/7000-farmers-subscribed-for-sms-service-geopotato?utm_source=social%20media&utm_medium=news "Recent figures of GEOPOTATO in Bangladesh, show that 7,000 farmers subscribed for the information service during the last potato season. 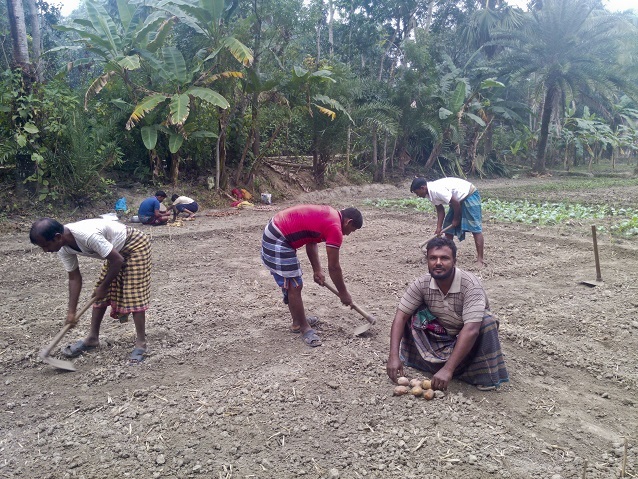 These farmers all received SMS alerts about the weather and biomass growth of potato crops..."
ICCO Cooperation - New technology increases confidence potato farmers - Bangladesh https://www.icco-cooperation.org/en/newsarticle/new-technology-increases-confidence-potato-farmers-bangladesh "In a recent assessment carried out by ICCO, in collaboration with BoPInc, farmers from the GEOPOTATO project say that the new technology has increased their confidence in potato farming..."
FAO - Geodata to control potato late blight in Bangladesh http://www.fao.org/e-agriculture/news/geodata-control-potato-late-blight-bangladesh-geopotato "Late blight (Phytophthora infestans) is the most common and highly destructive, fungal disease in potato, tomato and other solanaceae crops in Bangladesh. Annual potato yield losses due to late blight have been estimated at 25-57%. Late blight can be controlled but only by frequent and costly applications of fungicides. Moreover, the degree of control heavily depends on the timing of the fungicide application in relation to local weather conditions, crop development and disease pressure. 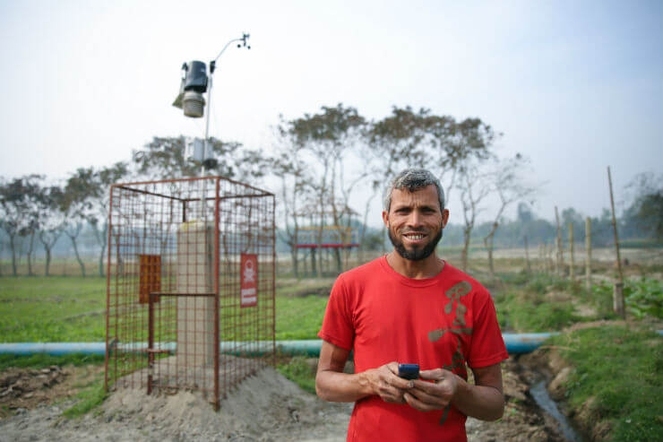 So, the efficiency of late blight control can be improved considerably by informing farmers in time about predicted infection periods of the potato crop and the effectiveness of past spray applications..."
Approximately 750,000 small farmers in Bangladesh produce an irrigated potato crop in the dry winter season. We aim at reaching approximately 15% of these famers through an SMS service, i.e.100,000 of these farmers in the 3rd project year. 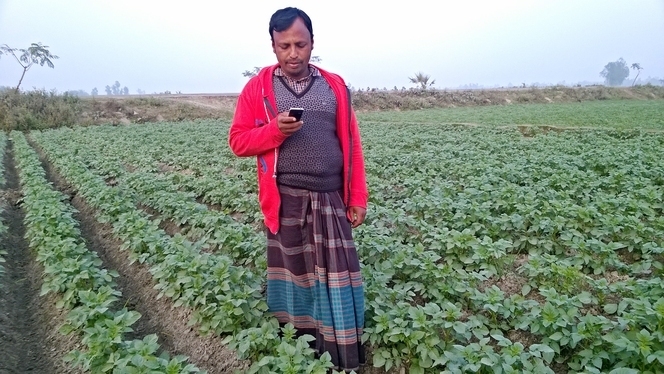 The late blight alert service will be provided on a subscription base to farmers, through SMS or voicemail during the potato growing season. Expected farmer benefits range between 100 and 250 Euro per hectare - depending on the farmersâ€™ current agricultural management and disease control. 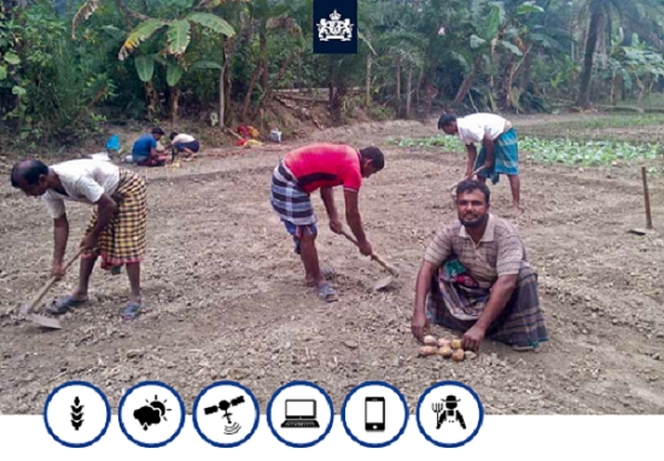 To sustainably improve resource use efficiencies and profits in potato production in Bangladesh by providing to small holder farmers a decision-support service to control the late blight (Phytophthora infestans) fungal disease.